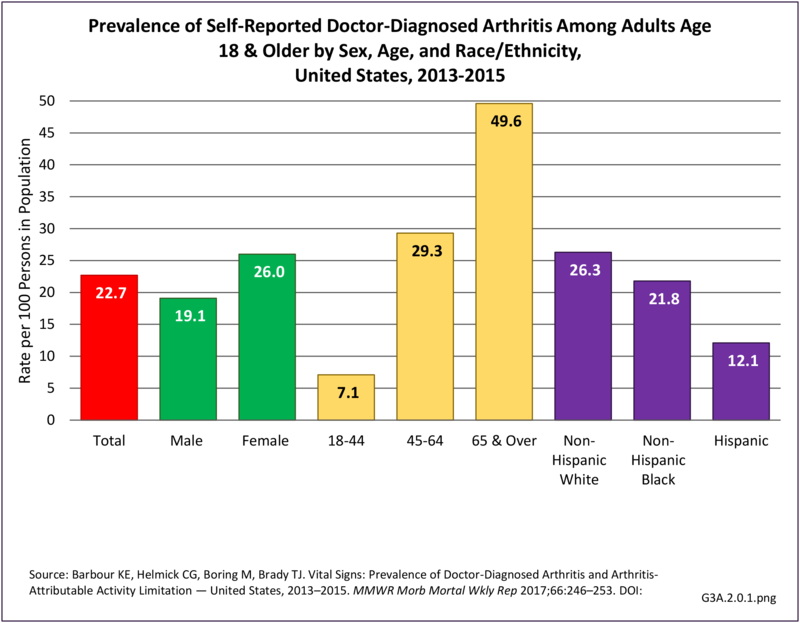 Joint pain is a major symptom of arthritis and non-arthritis conditions and a primary reason for seeing a medical care provider. 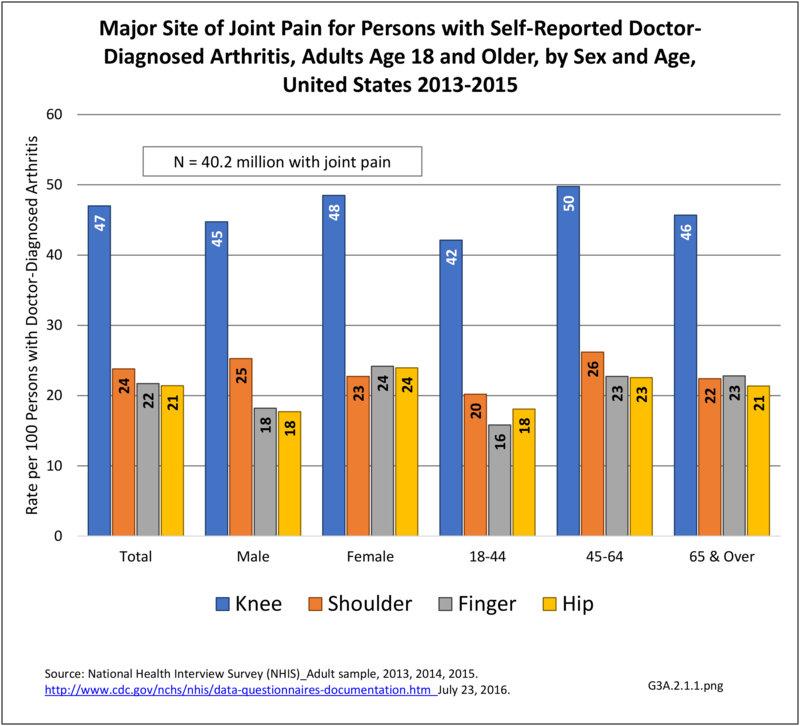 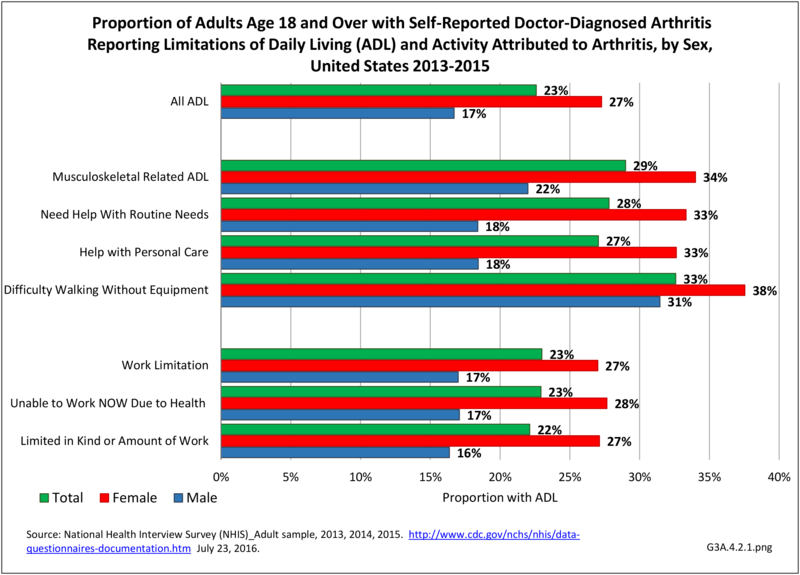 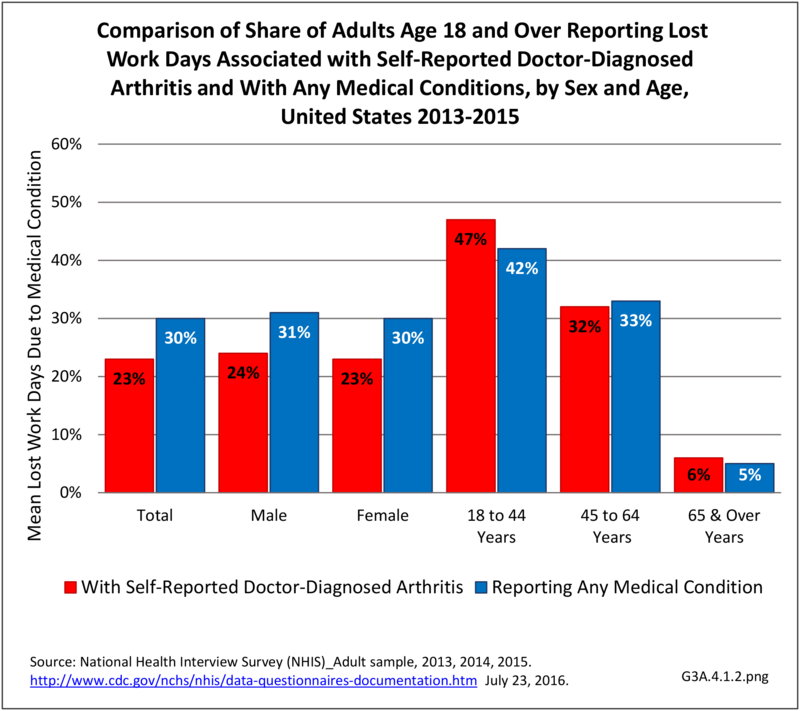 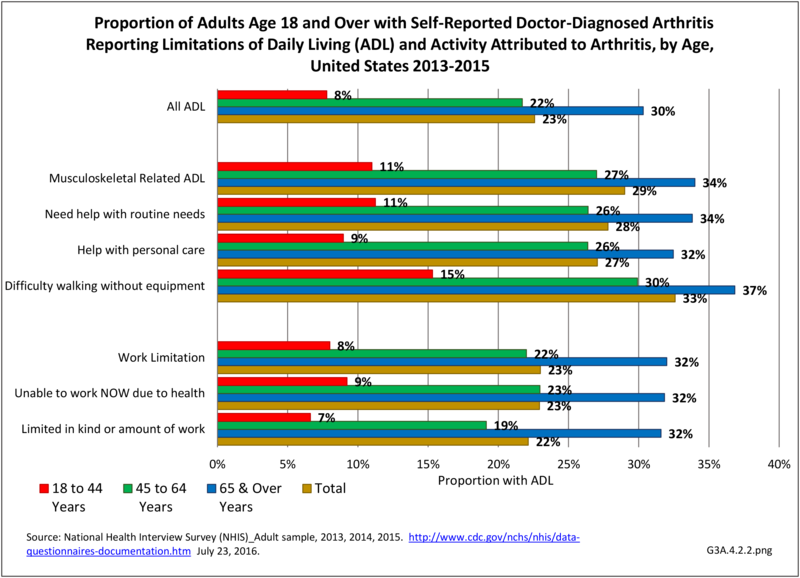 Self-report surveys ask about joint pain but do not distinguish the cause of joint pain, which may be from arthritis, injuries, or degeneration of bone surfaces. 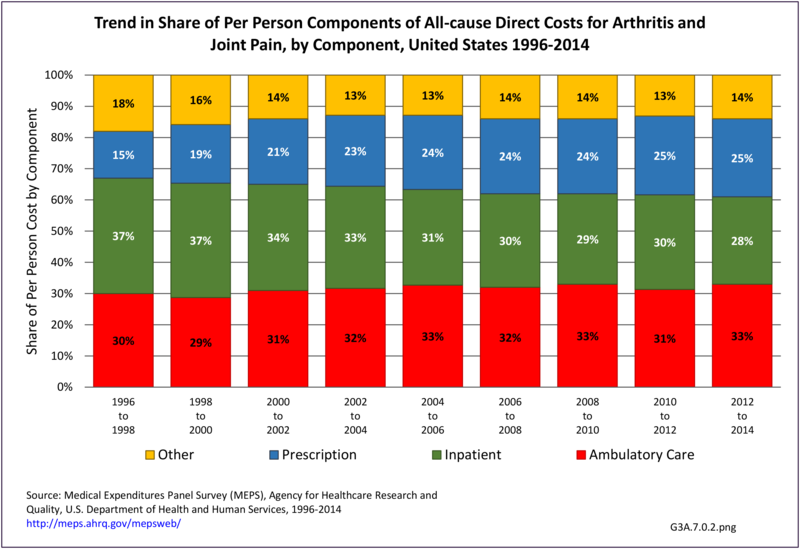 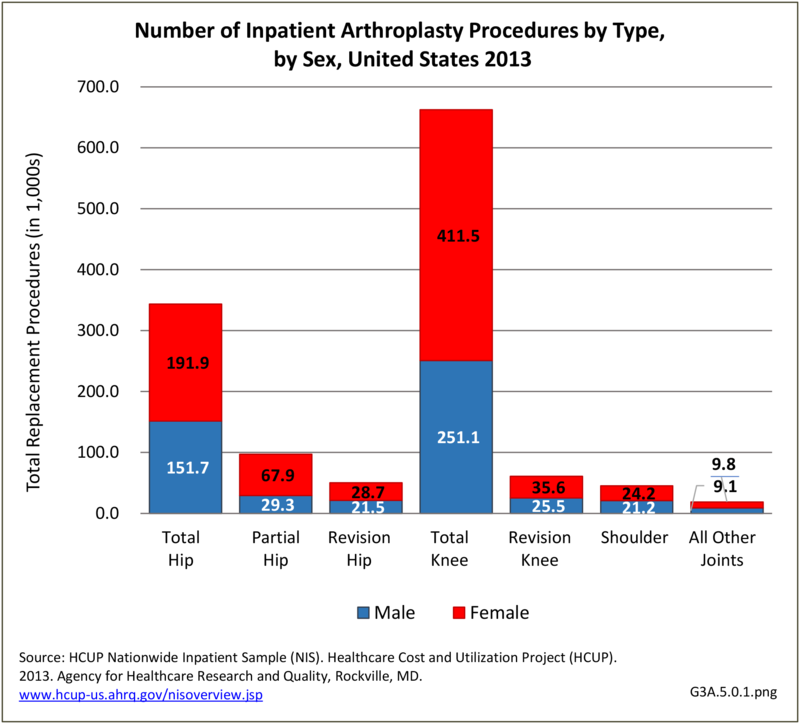 While in some sense, the need for a joint replacement represents failure of measures to prevent the occurrence or progression of joint problems, for those with the severe pain or poor function of end-stage joint problems, it can offer a life-altering “cure.” Joint replacements represent one of the fastest growing procedures in the US. 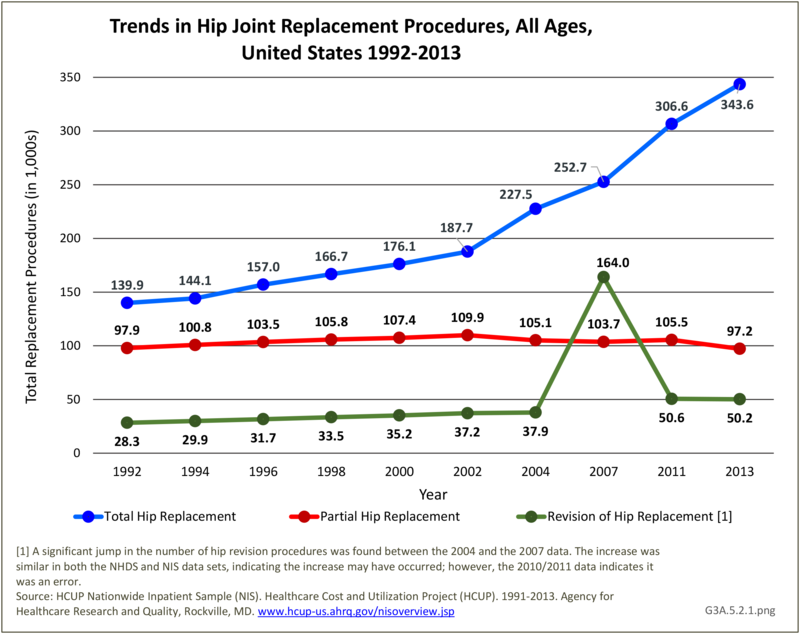 Joint replacement procedures for hips and knees are most common, but replacements have been expanding to other joint sites in recent years. 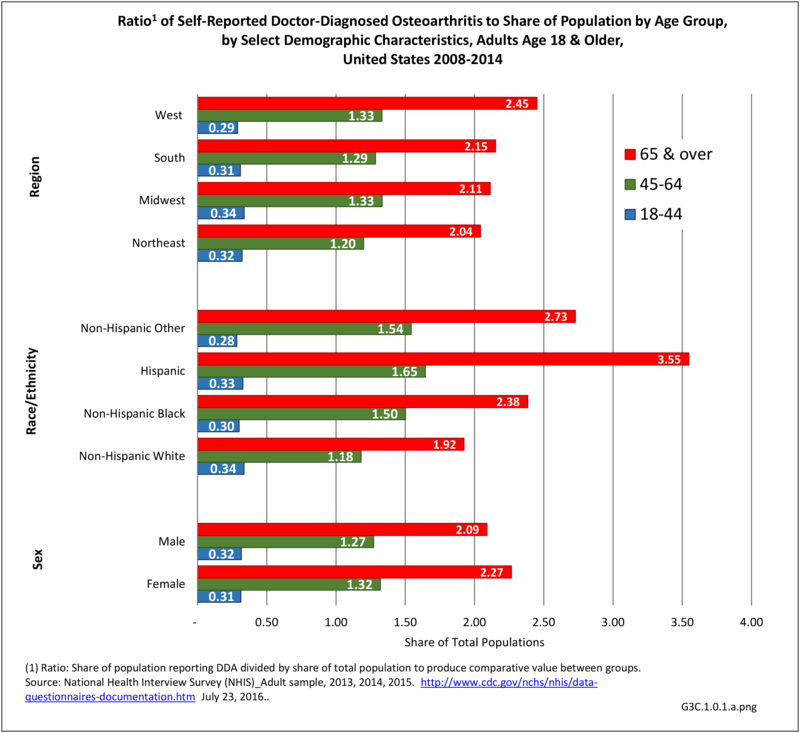 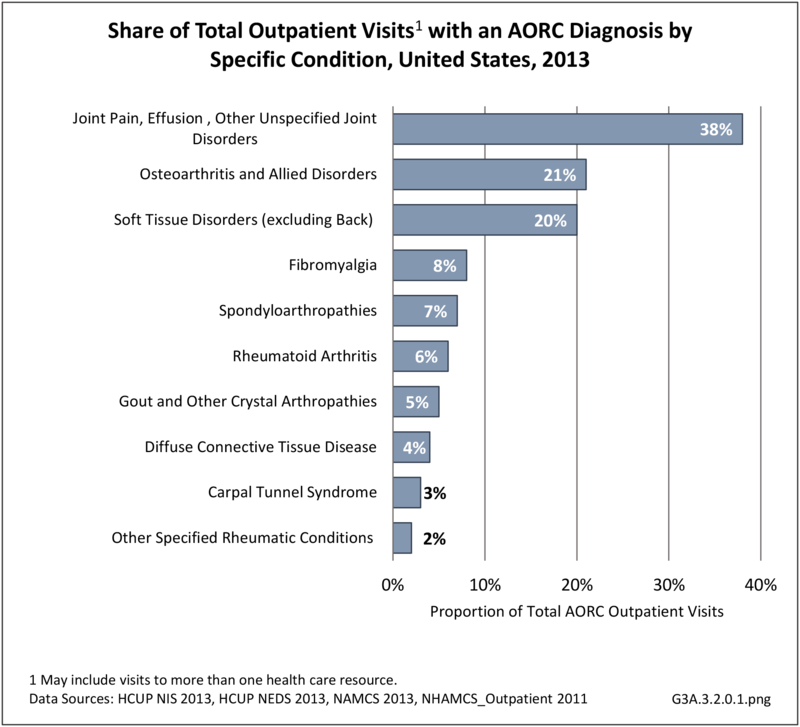 Estimates presented come from the Healthcare Cost and Utility Project (HCUP) Nationwide Inpatient Sample (NIS). 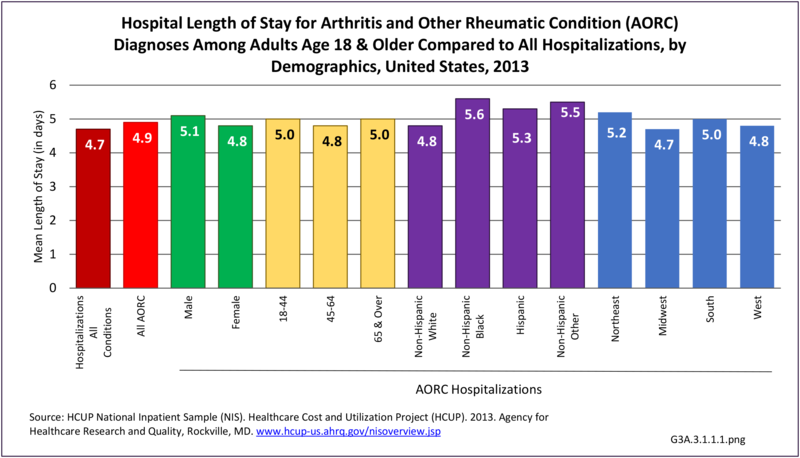 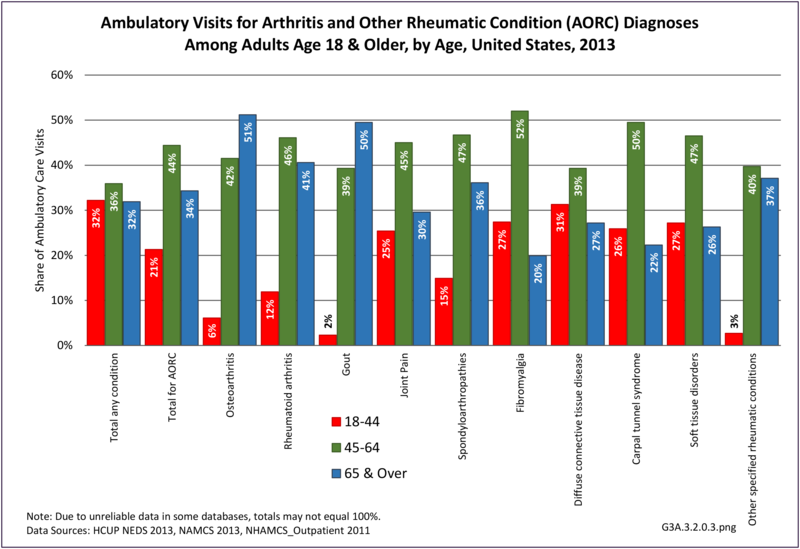 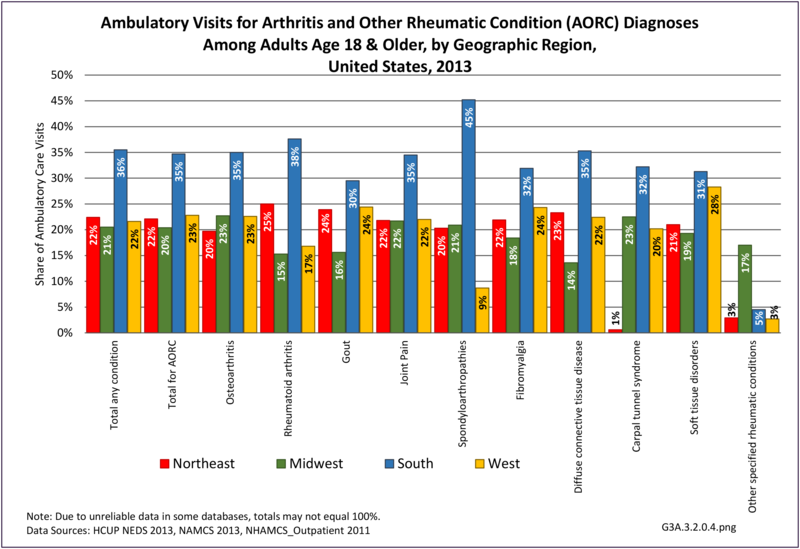 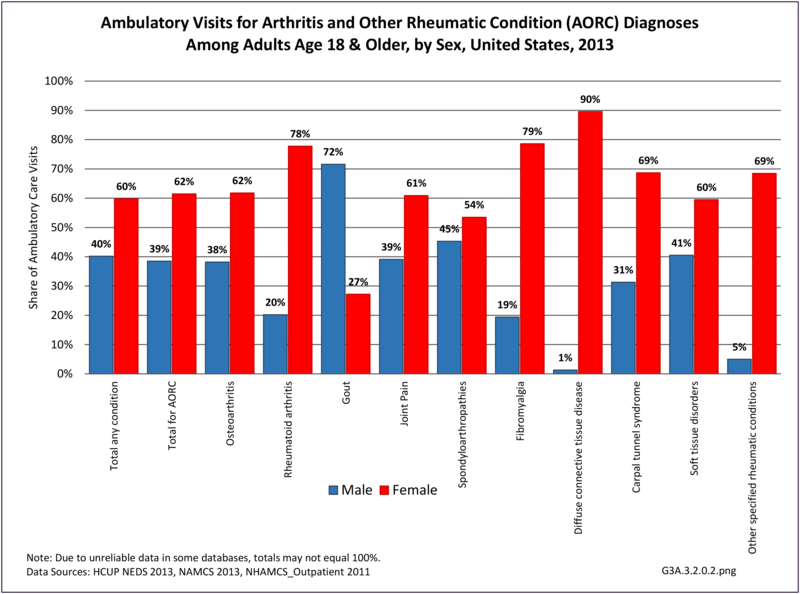 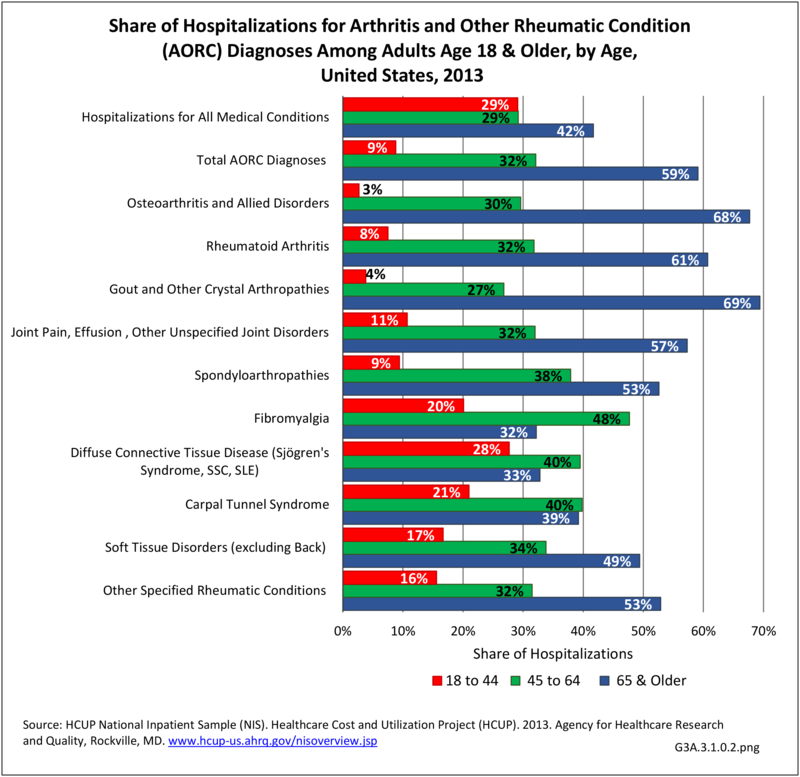 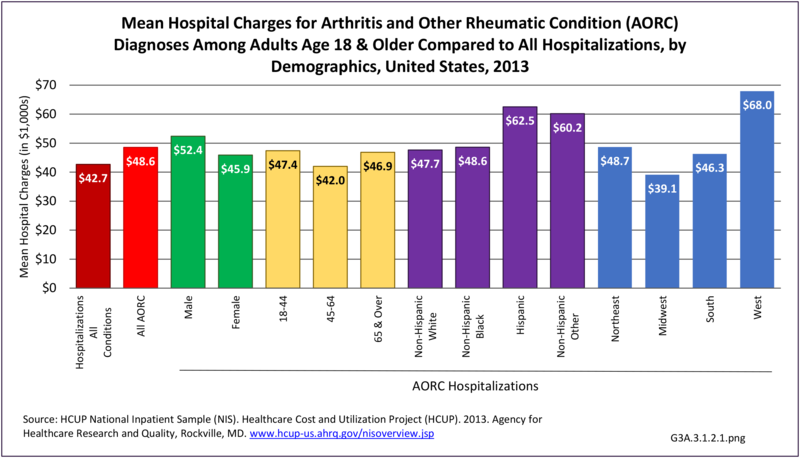 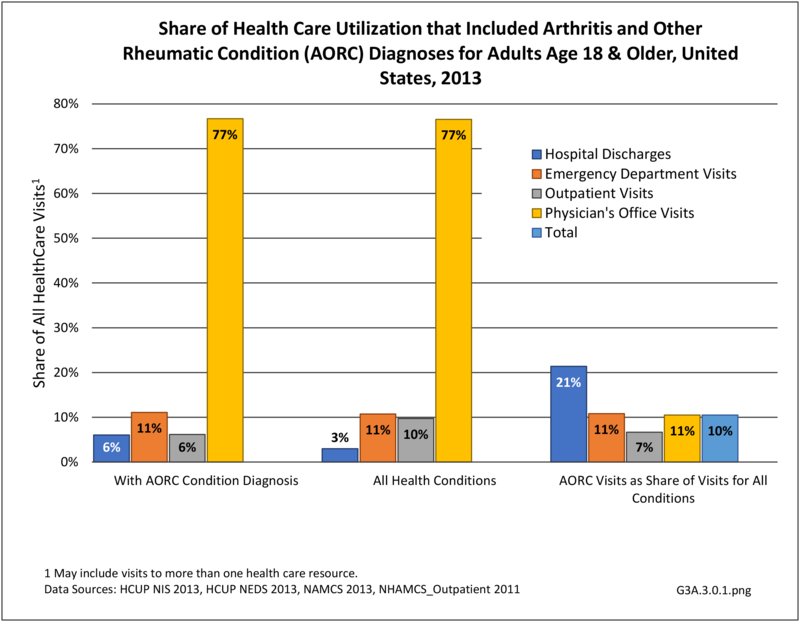 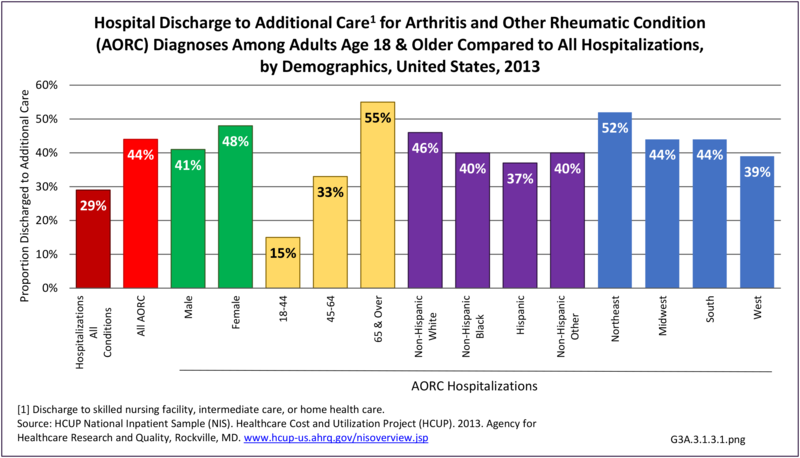 In previous editions of BMUS, estimates from the National Hospital Discharge Survey (NHDS) were also presented and are found in two tables showing trends on mean age of joint replacement patients and average length of hospital stay. 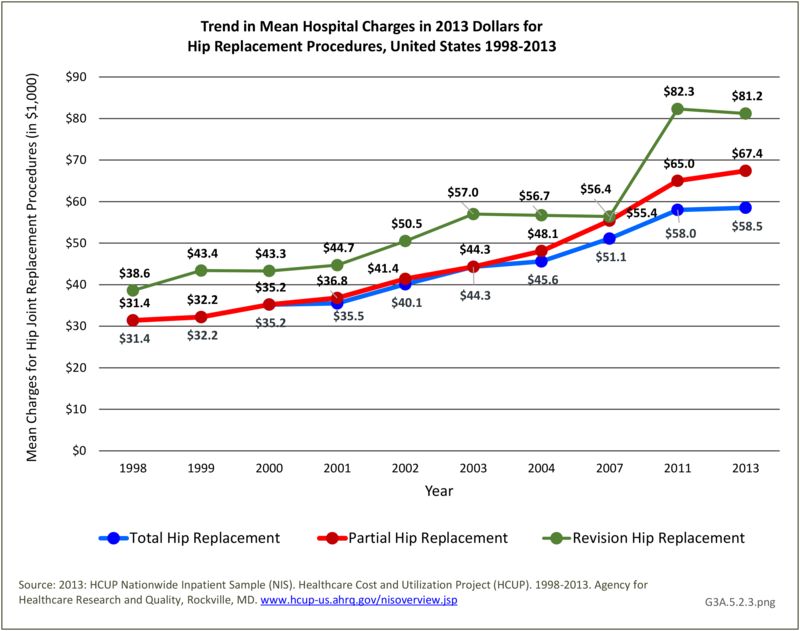 The NHDS is no longer produced and not otherwise used here. 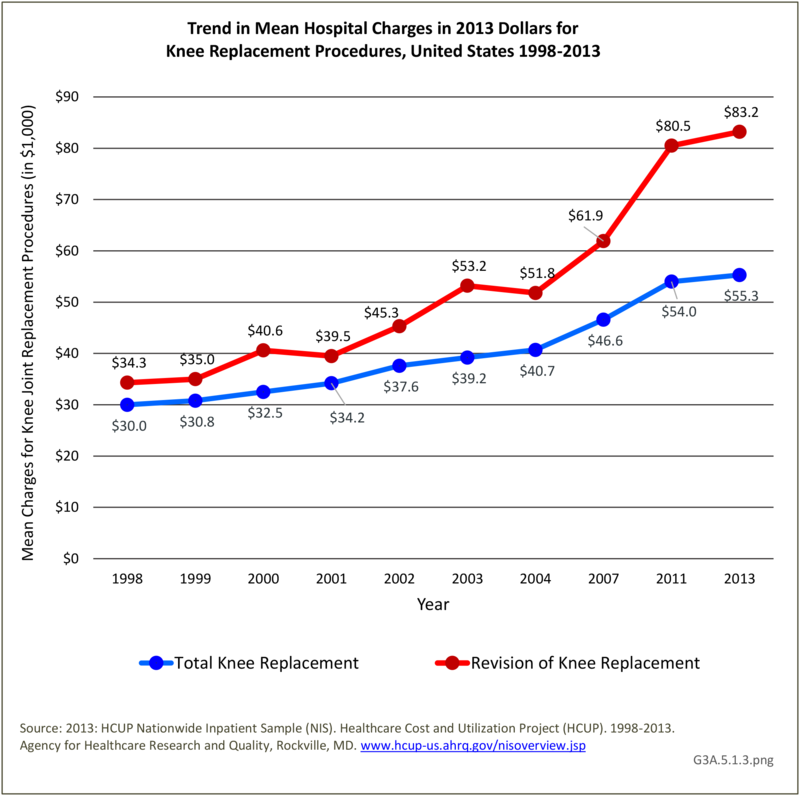 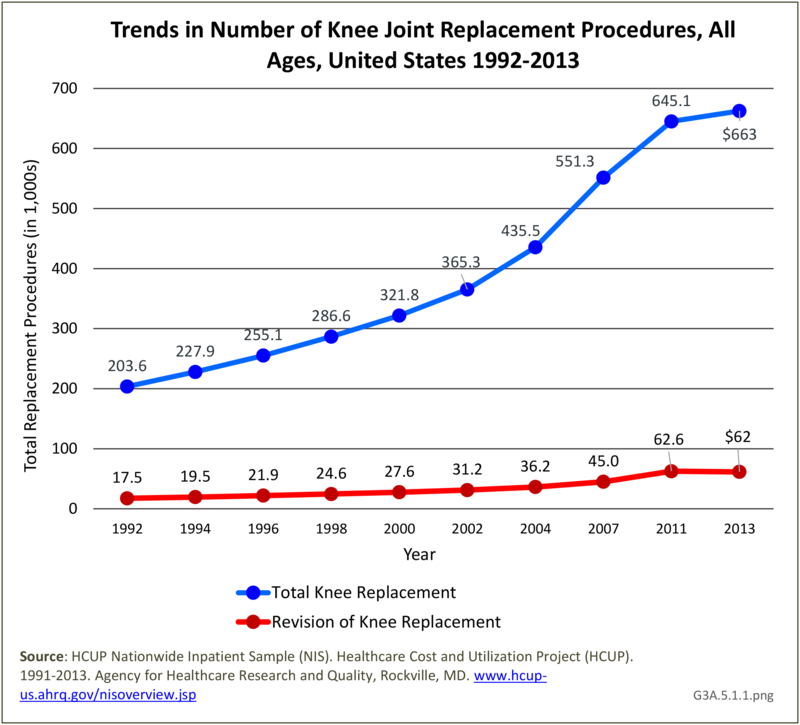 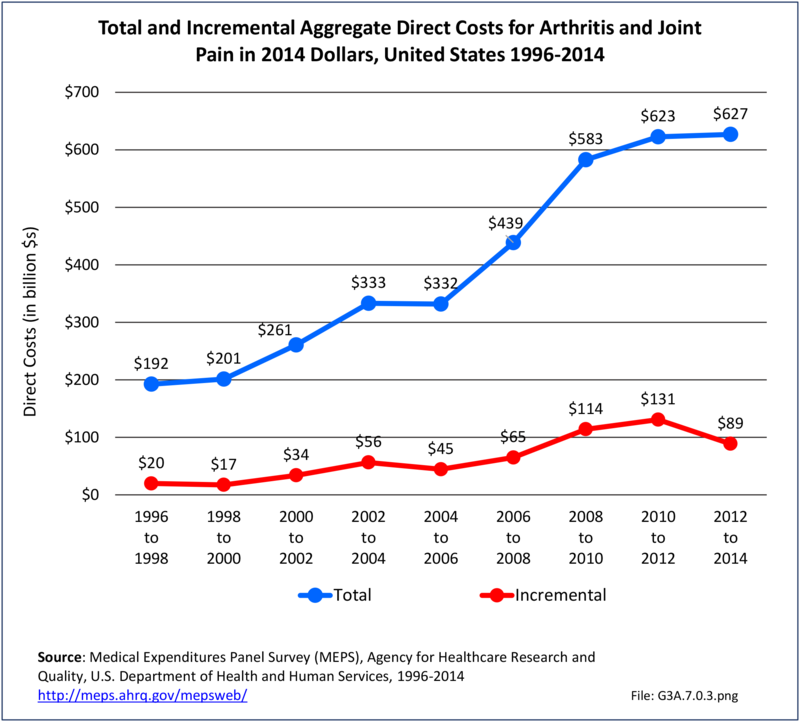 Trends in knee replacement procedures from 1992 to 2013 show steady increases in both total and revision knee replacements. 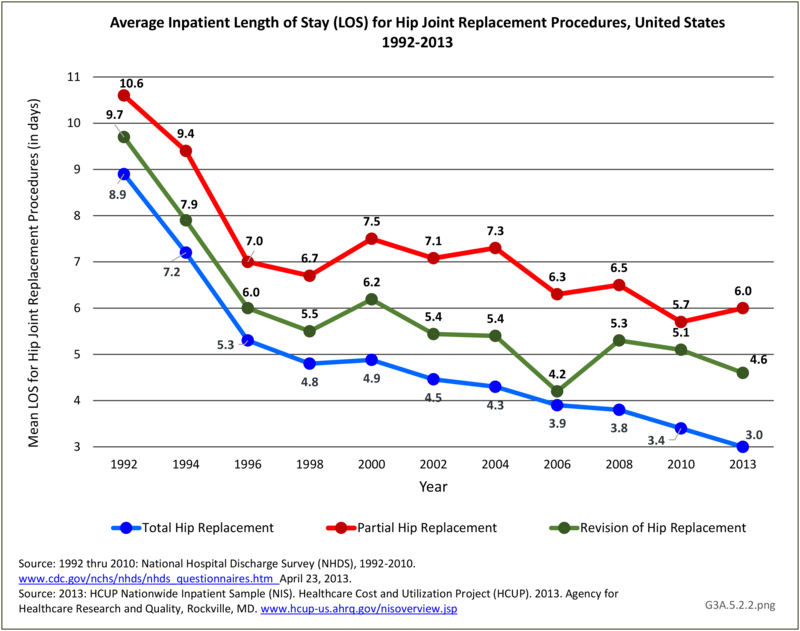 Over the 22-year period, knee replacement procedures more than tripled, with the ratio of revisions to total remaining constant at 8% to 10%. 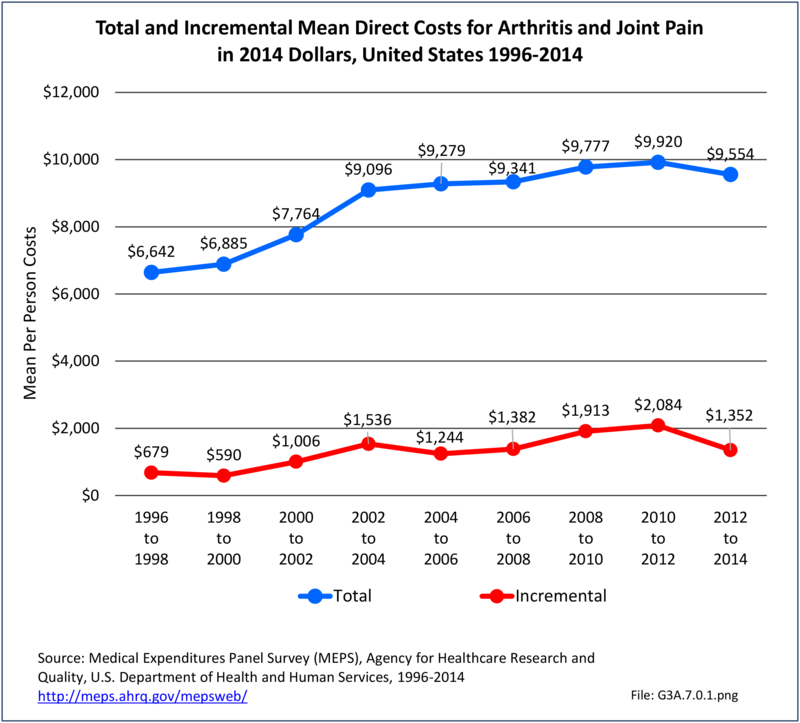 (Reference Table 3A.5.2 PDF CSV). 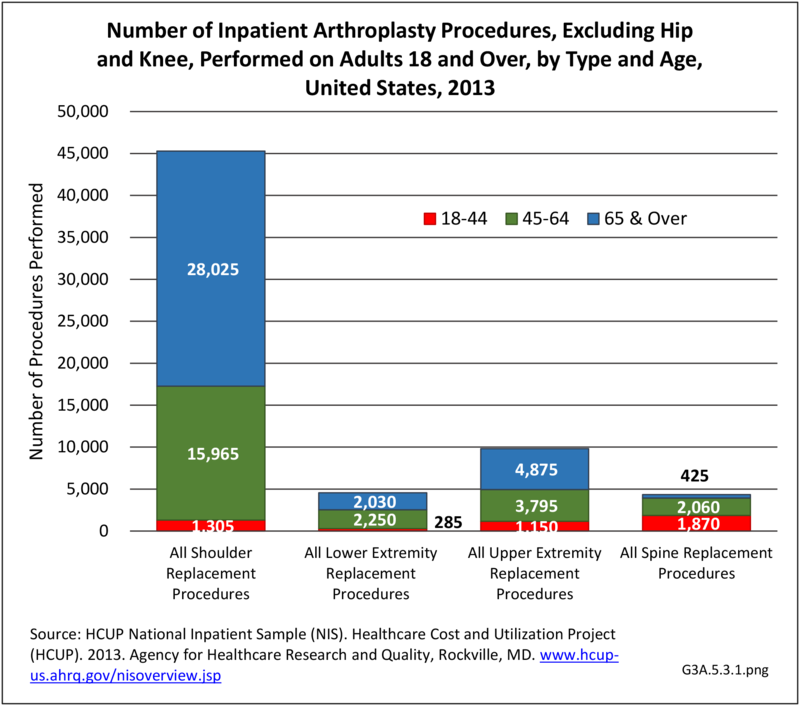 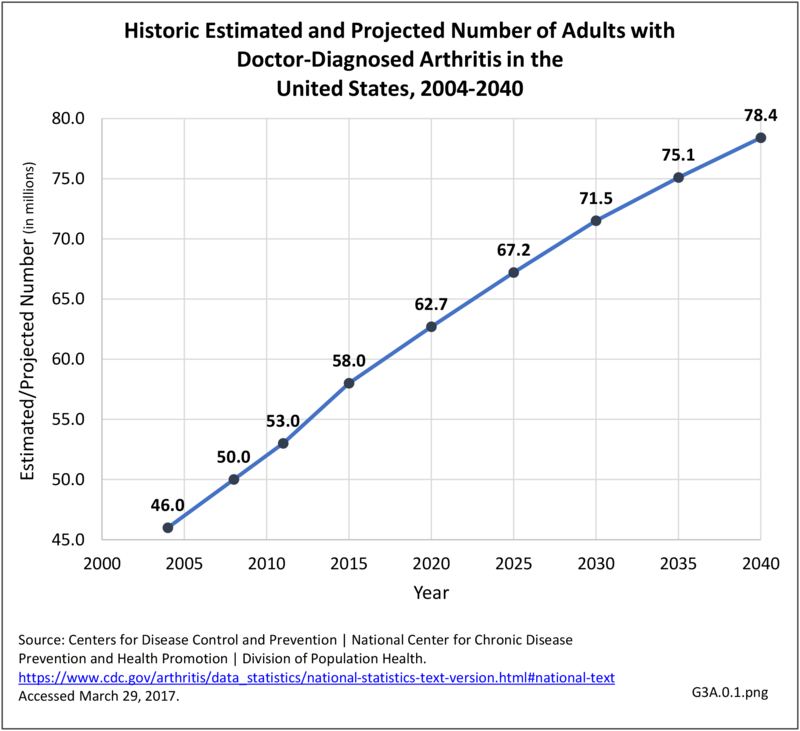 The principal or first diagnosis associated with total knee replacement is osteoarthritis, accounting for 98% of all replacements in 2013. 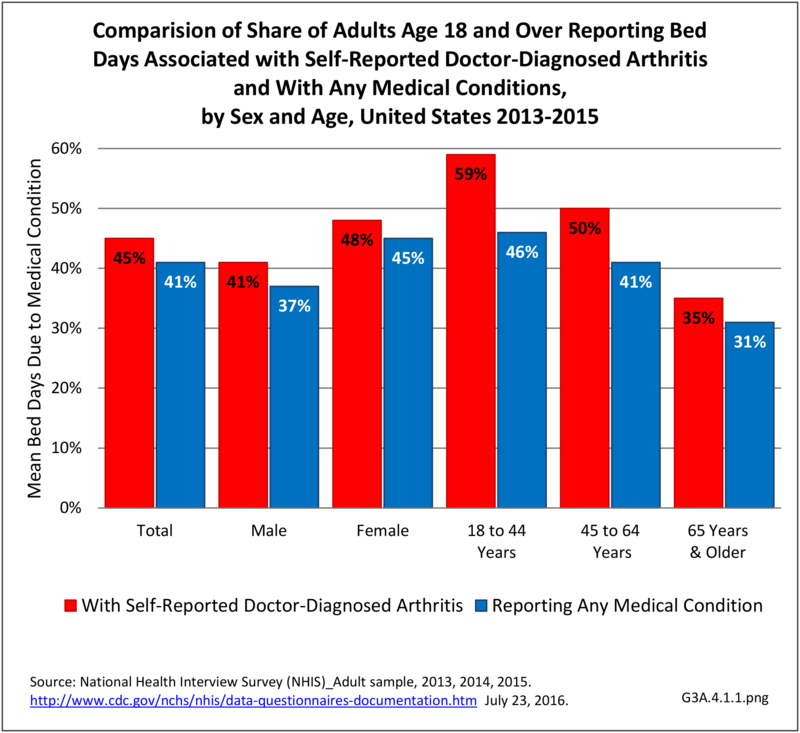 (Reference Table 3A.5.3 PDF CSV). 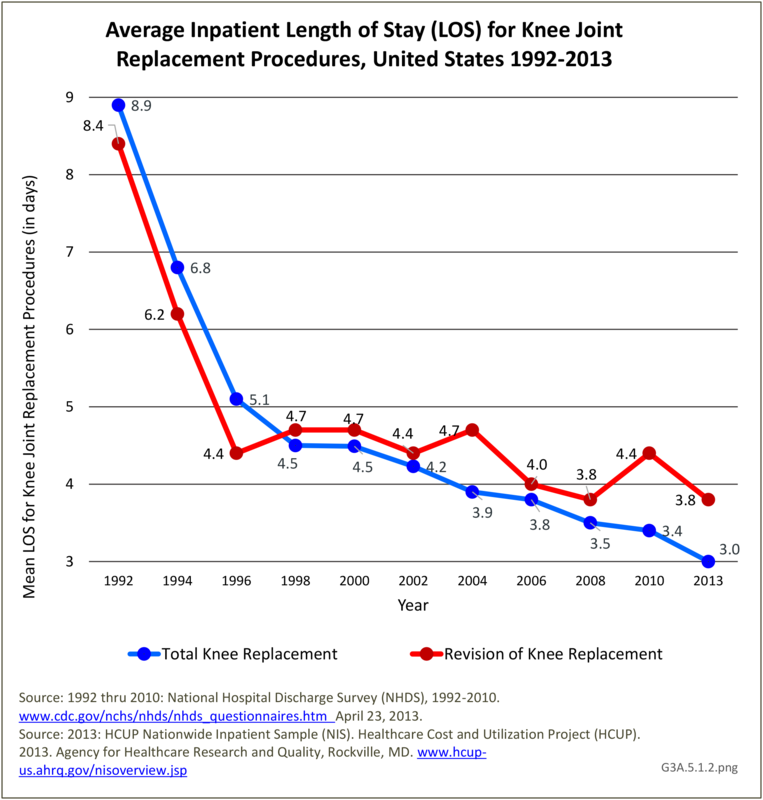 The average inpatient length of stay for total knee replacements has shown a remarkable decline of about 67% from a mean of nearly 8.9 days in 1992 to a mean of 3.4 days in 2013. 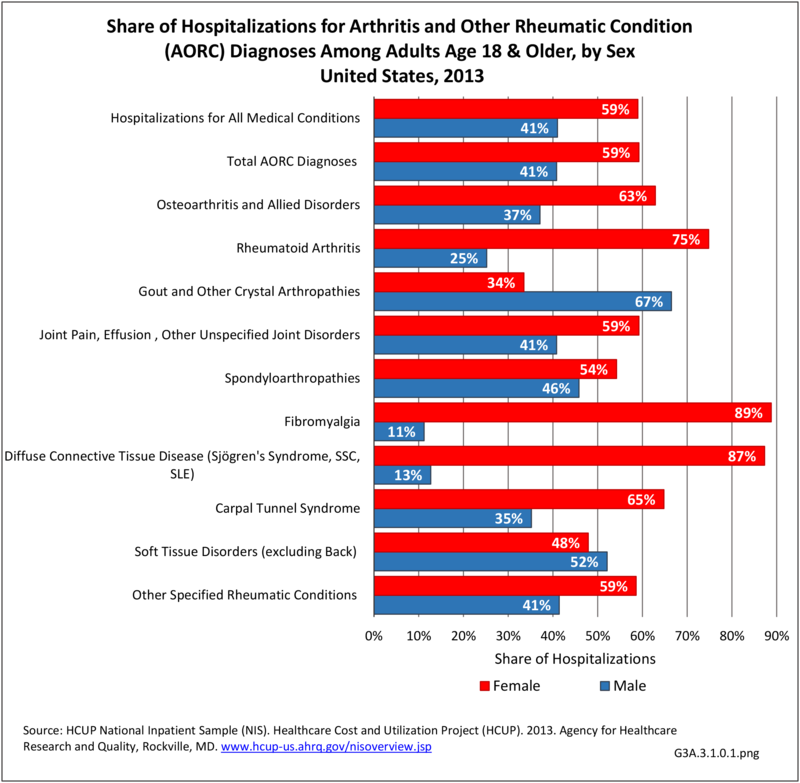 (Reference Table 3A.5.5 PDF CSV).